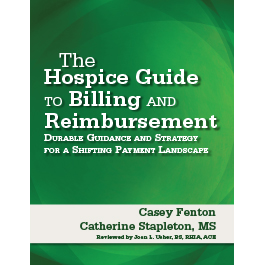 The Hospice Guide to Billing and Reimbursement is your comprehensive solution to implementing accurate, compliant, and competent billing practices at your organization. The industrywide march toward standardized performance measurement and unified value-based payment structures requires hospice agencies to stay on top of CMS regulatory guidance. The Hospice Guide to Billing and Reimbursement is your comprehensive solution to implementing accurate, compliant, and competent billing practices at your organization. 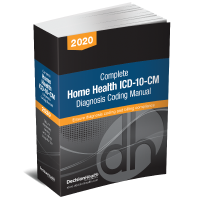 This book will help you provide the best training possible to your administrative staff and those who impact billing, increasing their competence and confidence about billing requirements and practices. It will equip providers with the broad frameworks and processes needed to develop billing systems and financial plans that meet CMS’ ever-sharper scrutiny.